The Meta Trak 6 product is a waterproof unit suitable for both 12 and 24V vehicles. 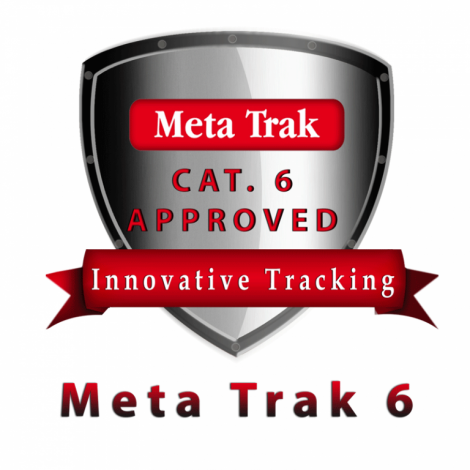 Along with the basic pre-requisites of an insurance approved tracking system which include, tow-away, low battery and tamper alerts, the Meta Trak 6 also provides a dedicated mobile app so you can keep a check on your vehicle wherever you are. Uses: This product is an intelligent solution designed to strike a balance between the need to install a product that meets Thatcham Insurance criteria whilst simultaneously providing a vision based telematics solution suitable for multiple applications. Compatibility: The system is fully waterproof and is suitable for both 12 and 24 volt vehicles. The unit is incredibly small and has built in GPS and GSM antennas making it one of the easiest to hide deep within a vehicle without the risk of limiting the performance.